Cub Cadet: 717-04163, 917-04163, 917-04163A. Fits Models: Cub Cadet LT1042. Warner: 5217-32, 5217-43. We recycle! Our team works hard to find you the best deals and provide you with a wide selection of products. No exceptions. when applicable. Item Size Item Weight Part SKU#:MF-2928. Part Details. We are simply the best at what we do. No others compare, even though they try! 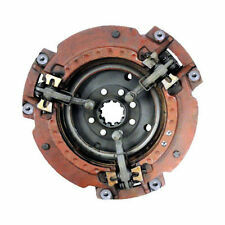 Part Number: TSXU831, TSX458, TSX361A, R0345, MFS138, A538769, 773322M91, 181944M91, 181644M91GV. Starter Ignition Switch w/keys Replaces 180681M93. Models 35, 50, Massey Ferguson Tractor TE20 TEA20 TO20 TO30. One-Year Warranty. Includes 2 Keys. No exceptions. We are simply the best at what we do. No others compare, even though they try! We carefully wash every part that can safely be washed, oils are drained, and loose parts are carefully attached to larger parts. Based on the part #, this will fit the following models: MF14. Why choose Joes Outdoor Power?. No exceptions. Item Weight Joes Outdoor Power. Item condition: Standard bore. MF35, MF50, MF65, MF85, 180681M1, MF88. 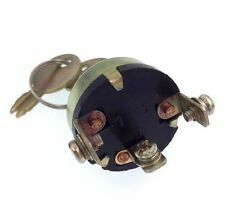 Starter Ignition Switch w/keys Fits Massey Ferguson TO35. Fits OEM Part Numbers Includes 2 Keys. Massey ferguson MF14 hydro transaxle drive shaft fan. it did fit loose on drive shaft. teeth on it may be wore out. We do not paint of modify any parts. What you buy is in the condition we received it in. No exceptions. This part is: Used. Part Number: 526560M91. Based on the part #, this will fit the following models: MF14, MF16. OEM Deck Belt Fits Cub Cadet MTD Massey Ferguson 954-04062 754-04062. MTD: Deck assembly "F" with 38" deck, 2005-2006. Belt Application: Deck. 942-04062 2005-2006 38" Deck Assembly "F". Belt Type: Covered. John Deere: AM-32672, AM103019. John Deere: RX63, SRX75-95, 108, 112, 130, 160. 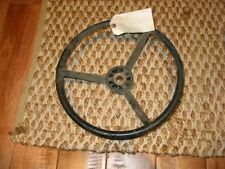 Pulley Idler V 3/8"X 3-3/16" IV39A. Massey Ferguson: 1040-013-M1. No exceptions. when applicable. Item Size Item Weight Part SKU#:MF-2917. Part Details. We are simply the best at what we do. No others compare, even though they try! It was removed from a Massey Ferguson 10 Variable Speed Tractor with a Tecumseh HH100 10hp HH100-115009 horizontal shaft engine. It may fit other models as well. It is in nice condition. It turns smoothlywith minimal play. Will fit many other garden tractors with 2" opening. Item condition: Good usable condition. No exceptions. Item Size 150.00 lbs. Item Weight Part SKU#:MF-2898. Part Details. We are simply the best at what we do. No exceptions. when applicable. Item Size Item Weight Part SKU#:MF-2951. Part Details. We are simply the best at what we do. No others compare, even though they try! Item condition: Has a small crack by one mount hole. No exceptions. We carefully wash every part that can safely be washed, oils are drained, and loose parts are carefully attached to larger parts. We do not paint of modify any parts. The parts are in good working condition. Hydraulic valve from a Massey Ferguson 14 garden tractor. Massey Ferguson MF14 Tractor Information Model - MF14. 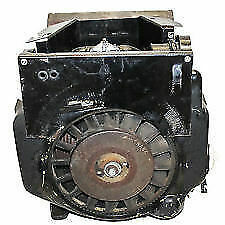 Engine - Kohler K321S - Spec#60150d - 14HP. Complete tractor is not available for sale. Local pickup is available. Based on the part #, this will fit the following models: MF14, MF16. No exceptions. Item Weight Part SKU#:MF-2910. Part Details. We are simply the best at what we do. No others compare, even though they try! Item condition: Good working condition. This is the harness without the circuit breaker and old style solenoid. No exceptions. when applicable. Item Size Item Weight Part SKU#:MF-2909. Part Details. Item condition: Good usable condition. Excellent condition. No exceptions. We do not paint of modify any parts. What you buy is in the condition we received it in. We are simply the best at what we do. We carefully wash every part that can safely be washed, oils are drained, and loose parts are carefully attached to larger parts. This part is: Used. Part Number: 526837M1. 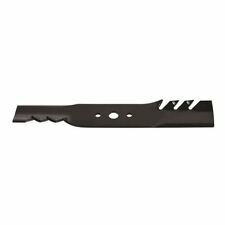 Based on the part #, this will fit the following models: MF14, MF16. Fits Models: Cub Cadet LT1042. Cub Cadet: 717-04163, 917-04163, 917-04163A. Rover: 917-04163A. We recycle! Our team works hard to find you the best deals and provide you with a wide selection of products. No exceptions. Item condition: Good usable condition. Item Weight Item Size We do not paint of modify any parts. What you buy is in the condition we received it in. We carefully wash every part that can safely be washed, oils are drained, and loose parts are carefully attached to larger parts. No exceptions. Item Weight 46.00 lbs. Part Number: 527693M94. Part SKU#:MF-2906. Part Details. We are simply the best at what we do. No others compare, even though they try! Part Number: MF520. No exceptions. We are simply the best at what we do. No others compare, even though they try! Part SKU#:MF-2897. Part Details. We do not paint of modify any parts. What you buy is in the condition we received it in. 4-7/8" OD Double Pulley, 1-1/8" ID, CW Direction, 175 ftlbs torque. Massey ferguson MF14 steering gear box that does work, but the shaft is broke where the steering wheel goes. No exceptions. when applicable. Item Size 22.00 lbs. Item Weight Part SKU#:MF-2929. Part Details. We are simply the best at what we do. It was removed from a Massey Ferguson 10 Variable Speed tractor with a Tecumseh HH100 10hp HH100-115009 horizontal shaft engine. It may fit other models as well. It is in nice clean condition. Why choose Joes Outdoor Power?. No exceptions. Joes Outdoor Power. Item Weight Part SKU#:MF-3011. Part Details. We are simply the best at what we do. No others compare, even though they try! Based on the part #, this will fit the following models: MF7. when applicable. Item Size 14.00 lbs. Item Weight Part SKU#:MF-2621. Part Details. We are simply the best at what we do. Based on the part #, this will fit the following models: 1450, 1650. John Deere 322 332 318 Tractor Power Steering Cylinder Steel Lines USD 24.99. John Deere 322 332 318 Tractor Power Steering Cylinder Rubber Lines USD 24.99. Massey Ferguson MF14 Tractor Information Model - MF14. Complete tractor is not available for sale. Local pickup is available. Engine - Kohler K321S - Spec#60150d - 14HP. OEM Simplicity REGENT HOOD COMPLETE. Fits Simplicity Models Hood is in great used condition. Hood has normal scratches, paint is in excellent condition. 1719483CSM- Hood. OEM Part Numbers Save BIG on Quality Used OEM Parts! John Deere 322 332 318 Tractor Power Steering Cylinder Steel Lines USD 24.99. John Deere 322 332 318 Tractor Power Steering Cylinder Rubber Lines USD 24.99. John Deere 316 w/Onan 330 318 Tractor Hydraulic Line - Power Steering Outlet USD 9.99. 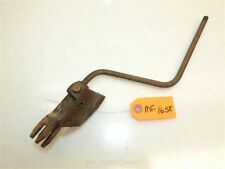 Massey Ferguson Tractor Replacement Key Switch 180681M93 1 Ea. Complete Tune up Kit Massey Ferguson Mf35 Mf50 Mf135 Tractor 4 Cylinder Cont.